Here is another card I created on this past rainy weekend. 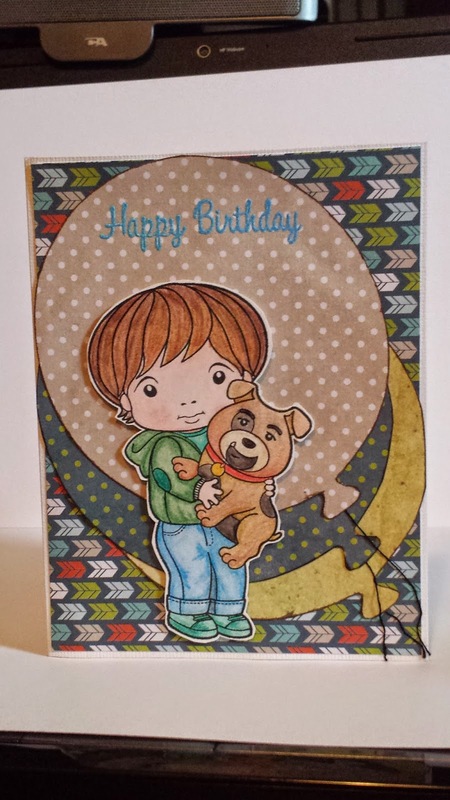 I was in need of making a masculine birthday card up and when I came across this boy and his dog, I knew this would be a great one to send to my brother-in-law for his birthday. The Best Friends Luka stamp is from La La Land Crafts. Stamp coloring was done with simple color pencils. 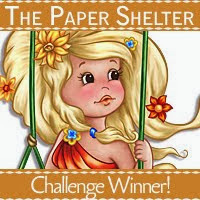 Designer papers were taken from the packet of Perfect Vacations Paper Pad from American Crafts except for the solid colored paper which was part of my stash of unknown named papers. Sentiment is part of a pack of stamps set I got at Michael's Store and it is done in a light blue embossing powder.